DM Metalloys Pvt. Ltd. is a supposed manufacturer, exporter and supplier of stainless steel HR/CR i.e. 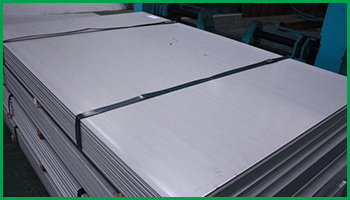 hot rolled and cold rolled plates in India. Our HR/CR plates can be easily handled into various shapes and applications. Hot Rolled Steel is A rolling process at temperatures over 1,000 degrees Fahrenheit is use to create hot rolled steel. Steel products in Massachusetts that have been processed in this manner will have a blue-gray finish that feels rough to the touch. Cold Rolled Steel is a rolling process at temperatures that are close to normal room temperature are used to create cold rolled steel. This increases the strength of the finished product through the use of strain hardening by as much as 20 percent. DM Metalloys Pvt. Ltd. Supplies Stainless Steel HR/CR Plates in Faridabad, Gurgaon, Gurugram, Gaziabad, Noida, Lukhnow, Delhi, Delhi NCR, Ludhiana, Amritsar, Chandigarh, Jalandhar, Baddi, Punjab, Uttar Pradesh, Haryana, Mumbai, Pune, Sahibabad, Meerut, Manesar, Bhiwadi, Bawal, Neemrana, SIDCUL, Sonepat, Ambala, Mohali, Panchkula, Kapurthala, Bareli, Kanpur.